Felipe Alex Torrealba was among the U.S. Marshals' 15 most wanted fugitives. One of the U.S. Marshals Service's 15 most wanted fugitives was arrested Thursday in Fort Myers, Fla., authorities said. Murder suspect Felipe Alex Torrealba was being transported to the Broward County Jail Thursday night, according to U.S. Marshals Service spokesman Barry Golden. 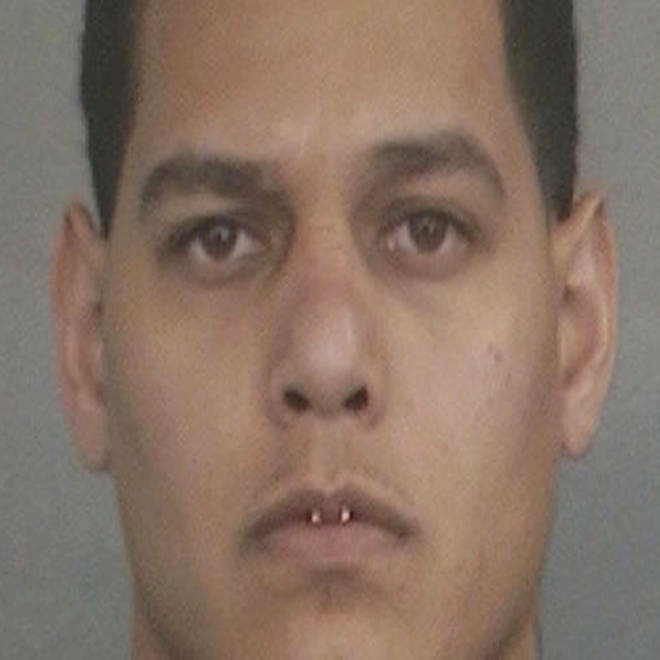 Earlier this year, the Broward Sheriff's Office described Torrealba as a suspect in the murder of Kris Smalls, 42, of Weston, Fla., who was found dead in his SUV in March a week after he was reported missing. Two handguns, about $15,000 in cash, a pair of binoculars and a wig were found inside the two-story townhouse where Torrealba was arrested, the U.S. Marshals Service said in a statement. A rental vehicle with two different Texas license plates, which was parked outside the townhouse, is believed to be the vehicle that Torrealba used to elude law enforcement, the agency said. Torrealba's attorney, Jim Lewis, said he has not heard from his client since February. "These are some very serious allegations, and when he's returned here to Broward County I hope to sit down and talk with him, and get to the bottom of them, and find out what the truth is," Lewis said.